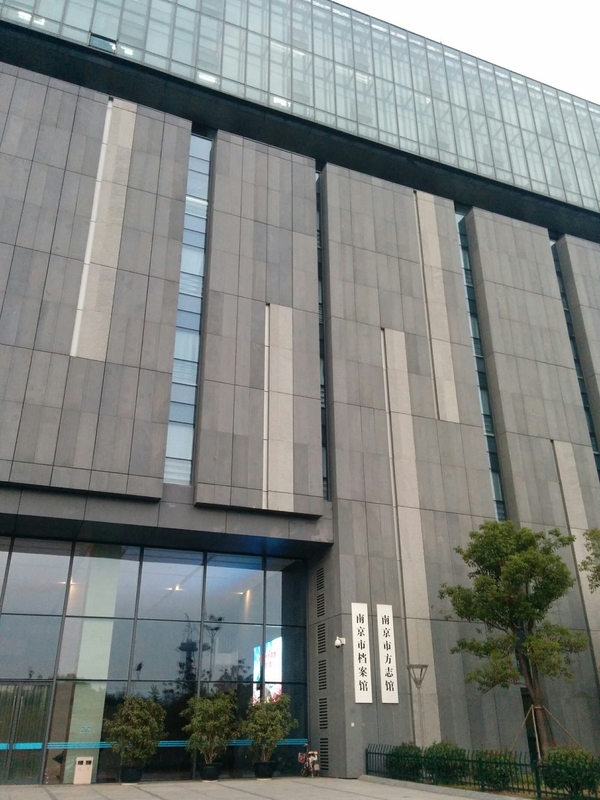 The new home of the 南京市档案馆 Nanjing Municipal Archives is gorgeous, but I think researchers are better off at the more humble environs of the Jiangsu Provincial Archives. An earlier entry on DissertationReviews.org warned that the Nanjing archives was bureaucratic, and things don’t seem to have changed. 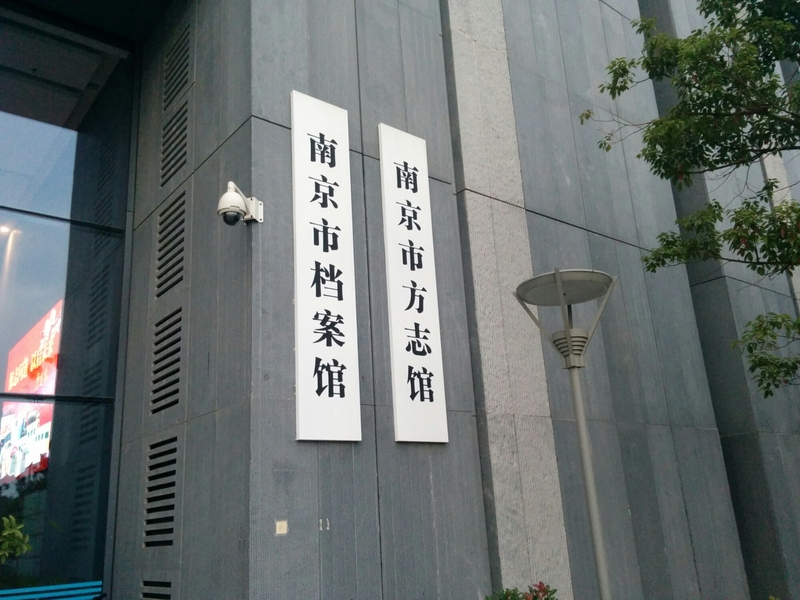 When you enter the massive building, you don’t sign in and out on a paper ledger; you must have your passport scanned (or your Chinese ID) by a greeter. There are also electronic gates like you see at metro stations, but those didn’t seem to be in use—the staff just told me to walk around the gates to come through. The spacious reading room is on the 2nd floor. When I entered, the security guard immediately got me started on some paperwork. I filled out the normal registration form while he photocopied my passport. After this, we proceeded to the registration desk where I handed over my form, passport copy, and letter of introduction to the frontline staff. I then had to fill out a second form, just for foreigners, essentially duplicating the same information from the first. The second form, however, needs to be reviewed and signed by some higher up lingdao; until then, foreign researchers shouldn’t expect to do much, well, research. I submitted my forms late in the afternoon on a Wednesday and received the signature early Thursday morning. Although my paperwork was still in processing, the frontline staff let me browse the paper catalogs on my first day (technically they were not supposed to do this until my application was approved). The catalogs line the wall of a smaller meeting room adjacent to the registration desk—there are hundreds of red books, each one representing the declassified holdings of a given danwei (work unit). Unfortunately there is no searchable index of all of the fonds (全总号) and finding the catalog you want requires a bit of cross referencing with the archives’ guidebook (指南). To my dismay, many of the catalogs looked rather thin. A few of the major work units didn’t even have a catalog on the wall—meaning not a single file had been declassified. For my own project, the catalogs for the relevant danwei were not more than a few pages. At the Jiangsu Provincial Archives, I read dozens of reports produced by Nanjing Municipal authorities, but I had trouble locating this same information in any of the catalogs. I managed to cobble together citations for about 10 folders of materials loosely related to my project and presented this to the staff. 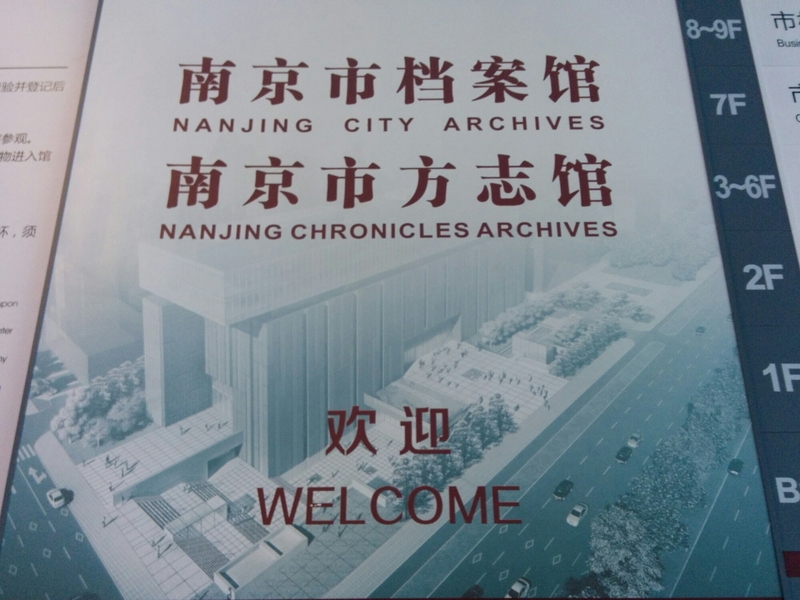 I then learned that the Nanjing Municipal Archives is in the midst of a major digitization effort and, as a result, many files are not available for consultation right now. The frontline staff don’t know whether a given folder is available until they call down to the stacks to find out. Fortunately, all of my requests were still available. I was able to read documents on the morning of day two. I am not sure if there is a daily limit on requests, but all of my folders were kept on a cart behind the registration desk. I was handed one folder at a time; you can go and ask to swap out for a new folder whenever you like. I used my laptop to take notes, as cameras are not allowed. I did not inquire into photocopying services, both due to shortness of time and shortness of materials. I didn’t really find anything that I thought absolutely needed copied, so I didn’t bother asking. The staff at the Nanjing Municipal Archives is friendly and helpful. The archive has free WiFi and is open from 9:00a.m. to 5:00p.m. There is no lunchbreak but the number of staff does thin out. The reading room is also quite impressive for a Chinese archive—if only there were more documents to read! 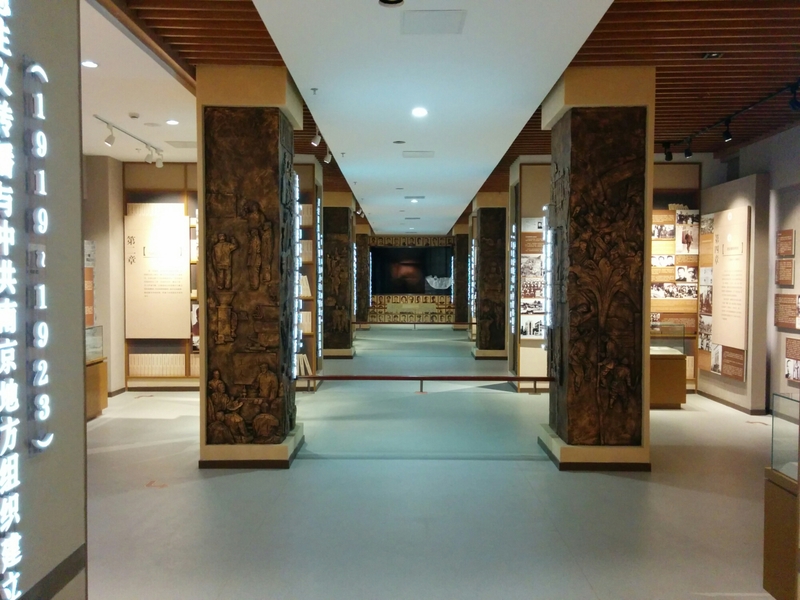 To sum up, the Nanjing Municipal Archives is hardly the main event for researchers in the city; the Jiangsu Provincial Archives has a lot more to offer. The Nanjing Municipal Archives is located at 南京市建邺区梦都大街168号, directly outside of Exit 1 of 梦都大街站 on Line 10.